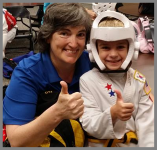 BLYTHEWOOD TAE KWON DO (BTKD) is the home of traditional Korean martial arts in a positive family-friendly, Christian atmosphere. Our convenient location provides easy access from Northeast Columbia, Blythewood, Ridgeway, Winnsboro and the surrounding communities. 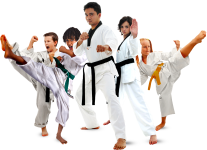 Blythewood Tae Kwon Do was opened in September of 1999 and is the largest traditional martial arts facility in the Northeast Columbia area. 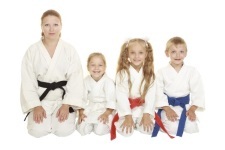 We provide classes for all ages – beginning at 3 years old to 99 years old. Little Eagles is a program designed for 3-5 year olds. 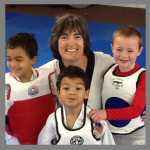 The program uses basic Tae Kwon Do skills & general fitness to develop coordination, flexibility, large motor skills & discipline at the preschool learning stage.